Steve Noakes is among the very few sustainable tourism professionals who have been involved internationally and across the benches long enough to have a very comprehensive understanding of the sustainable tourism field, especially in Australia and the Asia-Pacific region. In this interview, he shares his thoughts on sustainable tourism developments, trends and challenges. Steve’s advice on which sustainable tourism award to apply for. Steve, a few words on your current work and professional responsibilities? I work across the commercial, academic and NGOs sectors. Have been involved in tourism and travel for almost 40 years – nowadays we have business interests in ecolodges and tour operations in Indonesia, Melanesia and Australia. My business focus is on sustainable tourism in Asia Pacific region. As an example, currently I am the Lead Trainer for the tourism sector of the Business Innovation Facility (BIF), a UK AID funded project on inclusive business in Myanmar. I also engage in sustainable tourism research and lecturing activities with Griffith University, the University of Queensland and Bond University here in Australia, as well as with the Lapland University Consortium in Finland. In relation to NGOs, I have a 35 year active engagement with various NGOs, including the Bangkok-based PATA and over the past decade or so, with Sustainable Travel International and the Global Sustainable Tourism Council. Back in the 1970’s when I started as a tour guide, we didn’t use the word ‘sustainable tourism’, although that’s basically what we practiced at the time, given the need to conserve scarce resources in remote areas and maintain good relations with the local, particularly indigenous, people. I was living in Canada in the 1980s when I noticed the emergence of the term ‘ecotourism’ and I was interested in the development of The International Ecotourism Society in the USA in the late 1980s/early 1990’s period. That concept also started to gain momentum in Australia in the early 1990’s. To some extent, ‘ecotourism’ laid the foundation for much of the dialogue on where tourism would ‘fit in’ following the 1992 Rio Earth Summit on the environment and sustainable development. So, when organisations such as the WTTC and UNWTO started to produce documents on Tourism and Agenda 21 some 20 odd years ago, I got more involved in the global sustainable tourism field. Now in mid-2015, how has your view on sustainability and sustainable tourism changed in recent years? Like many large scale and impact commercial activities, there can be the good, the bad and the ugly. In relation to sustainable tourism, the good thing is the concept of sustainability is a core part of most tourism education nowadays and we see a lot more industry practices which are genuine attempts to do the right thing for places, people and planet. The bad is the lack of adoption of sustainable tourism approaches that is still very much evident in rapidly developing or emerging destinations where local legal, policing, regulating and financial, consumer protection etc systems and capacity is limited. The ugly is where we witness really bad uses of natural landscapes for large scale tourism development, displacement and/or exploitation of local people and little real economic and employment opportunities for local communities either directly or indirectly from tourism development. On the up-side, we now have organisations such as the Global Sustainable Tourism Council, which enable an international forum to agree and communicate common language, guidelines and practices on sustainable tourism. We also see organisations, such as PATA, showing leadership and incorporating key words, such as ‘responsible’ and ‘sustainable’ tourism, not only in their Mission Statement, but also in many of their programs and communications. From your experience as Director of Pacific Asia Tourism Ltd, where do you see the priorities in terms of sustainable tourism in South-East Asia and the Pacific Islands? Asia and the Pacific Islands is a fast region. In many destinations, you have very sophisticated tourism infrastructure and services, while in other places, you can get right down to the ‘first-contact’ with tourism. In terms of South East Asia – lets say ASEAN destinations – over the next decade the emergence of the ASEAN Economic Community (AEC) and the geo-political-economic impacts from China and India are major issues to consider in terms of tourism investment, visitor demand and flows, impacts on environmental, social and cultural resources and employment and economic growth opportunities. The Pacific islands have a much lower base, but they are fragile environments where issues such as climate change and being able to manage risks and disasters are much more real. Your thoughts on the current state of sustainable tourism in Asia Pacific, and Australia? For almost two decades, Australia has invested a lot in sustainable tourism research, education and training as well as industry practices and certification/accreditation systems for sustainable tourism. New Zealand has done similar work – perhaps more efficiently given they only have two tiers of government rather than the three tiers we have here in Australia. So, Australia and NZ have some very good practices, experiences, products and stories about sustainable tourism to share with anyone interested. However, that’s all been based on a dominant Western commercial/consumerism model which costs money and is not necessarily easily adapted to different cultural, political and economic systems as we have throughout Asia Pacific. I’m delighted to see this year the launch of the Asia Ecotourism Network (AEN). Of course all forms of tourism should strive towards being ‘sustainable’ in terms of their economic, environmental and cultural/social impacts, but the ecotourism sector in particular (through organisations such as AEN) can play a vital ‘spearhead’ role for the broader sustainability agenda in Asia. Your key insights as part-owner of Ecolodges in Indonesia? Across its 17,000+ islands, Indonesia continues to have remarkable tourism potential. Our interests are directed at using ecotourism to contribute to biodiversity conservation efforts, particularly in relation to wildlife and their natural habitats. To do that, we need the local community and staff at our ecolodges to also share the vision, understand and engage in a positive way. I think we are achieving that with our unique a social/inclusive business model in our lodges in Sumatra, Kalimantan, Flores and Bali. Your favorite sustainable tourism book? Sustainable Tourism and the Millennium Development Goals: Effecting Positive Change. Edited (2013) by Kelly Bricker, Rosemary Black and Stuart Cottrell. Published by Jones & Bartlett Learning, Burlington MA, USA. We witness growing confusion and concern about eco-labels and certifications for hospitality and tourism. Which would be your advice to business and destination managers regarding how to choose the right certification? Your advice for tourism businesses or destinations eager to gain recognition for their sustainability efforts through a sustainable tourism award? Which one(s) do you consider most reputable? There are a number of sustainable tourism awards at the national, regional Asia Pacific or international level. Generally, if they are of any merit, they can be quite useful for tourism business planning as well as documenting your performance on various commercial, environmental and social indicators. Of course, if you win an award, that can become a valuable part of the way you position your product in your marketplaces. Awards which are supported by leading national or international tourism organisations or intergovernmental bodies probably have more credibility. Connect with Steve Noakes on LinkedIn. 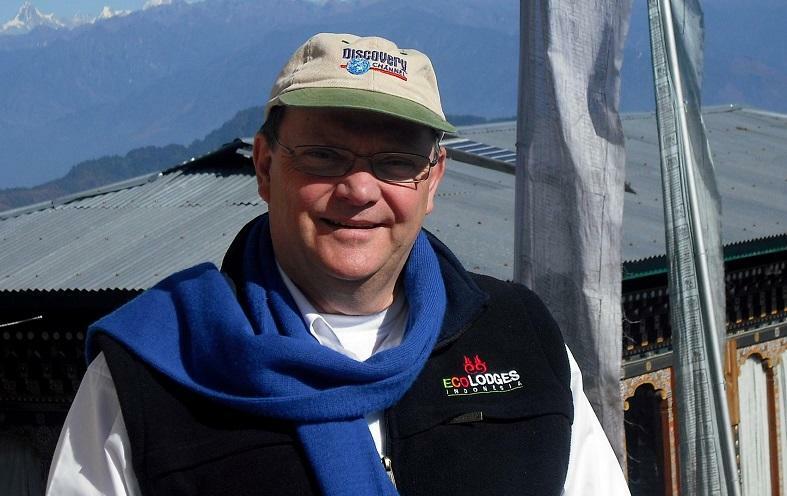 Enjoyed our interview with Steve Noakes on sustainable tourism in Asia Pacific and Australia? Share and spread the word!